One finds here a description of my radio station, band per band. I’m using a Kenwood TS-440S transceiver and as antenna, either a multiband Windom FD-4, either a 5/8 ground mounted vertical for the 10 m band. I’m not very active on HF. A Yaesu FT-857D is used as driver on a 28 MHz IF, it is followed by a Transverter 28-70 MHz and a OZ2M designed PA. The power is 20W. The antenna is a 5 el. YU7EF (3 m long boom). As for the 70 MHz, I’m using the Yaesu FT-857D as driver of (28 MHz) a subsequent transverter. The transceiver is followed by an interface. Both the transceiver and the interface are located in the shack. Between the shack and the tower, there is 55 m of RG213 coax cable. At the foot of the tower, in a cabinet, one finds a Transverter 28-144 MHz and a 1kW SSPA (BLF188XR). From the SSPA to the antenna, there is 16 m of 1/2″ low loss coax cable (Eupen 5128) + 6 m of Ecoflex 10 up to the radiating dipoles of the antennas. I don’t use a masthead RX preamplifier. The antennas are 2×9 el. DK7ZB, 19 m agl and 119 m asl, with elevation capability. 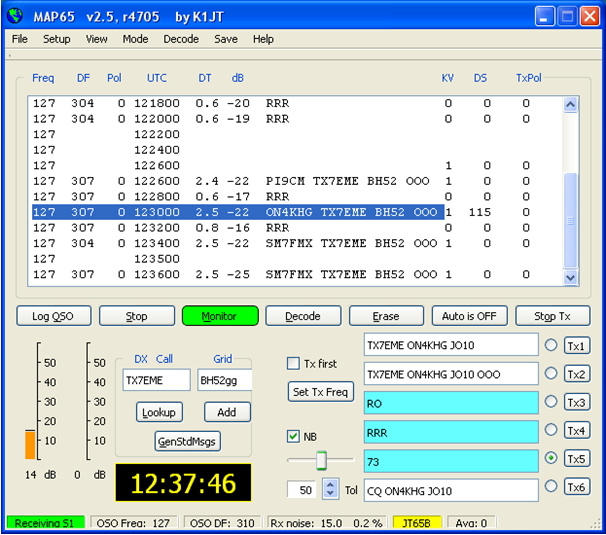 This system is used for the terrestrial traffic, as well as for EME. For the local FM traffic (and sometimes also for Es), I’m using the same FT-857D or a FT-7800 together with a 5/8 vertical 12 m agl. I’m QRV D-STAR with an Icom ID-51 transceiver but almost not active in this mode. For the DMR (that I much more prefer to D-STAR), I’m using a Tytera MD-380 ; often stand-by on TG’s 2062 or 937. I have a Transverter 144-1296 MHz (10 W) and a 35 el. F9FT antenna. Driver : FT-857D or IC-202. I’m using a Prime Focus 48 cm dish and a Transverter & PA DB6NT 144-10368 MHz (3 W). All the equipement described above is complemented by other devices, most of them being home made : CW key, Interface Audio/Transceiver/Micro., Interface for Transverter and a SDR system. Amongst the non home made equipment, there are power supplies, a Hi-Fi amplifier and an equalizer. For the moon tracking, I’m using an antenna controller ERC-3D by Rene, DF9GR, together with the software PstRotator by Codrut, YO3DMU. Both are excellent stuff I highly recommend. This post describes my geographical location. Take-off is of prime importante what radio communications matters, especially on the higher frequencies. This post is dedicated to the best achivements made on the bands I’m active or have been active. These are made up of tables and maps. 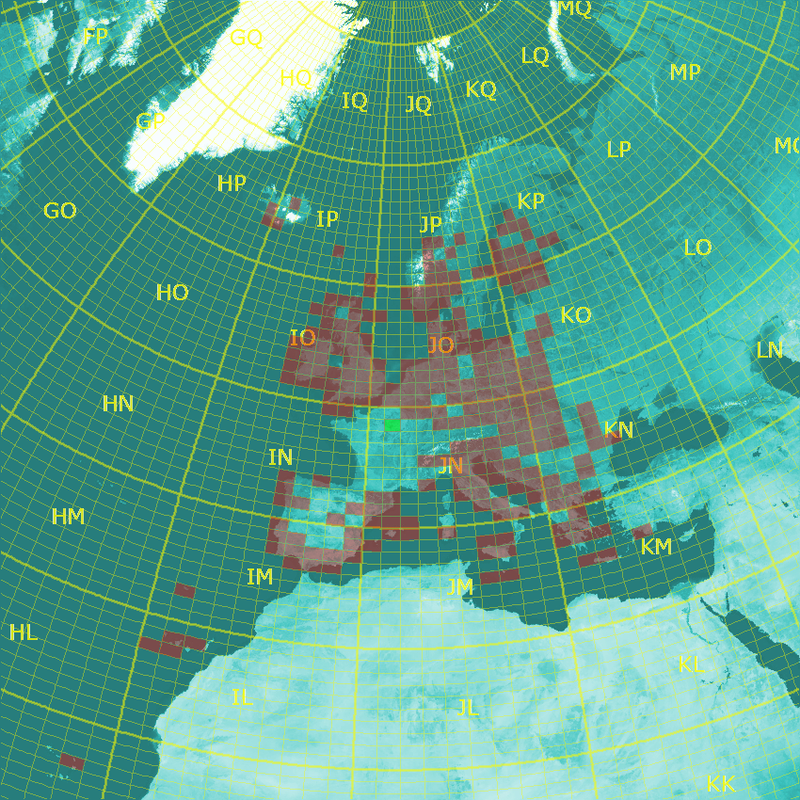 Click on the map to enlarge (the squares in green are squares worked in 70/144 MHz cross-band). 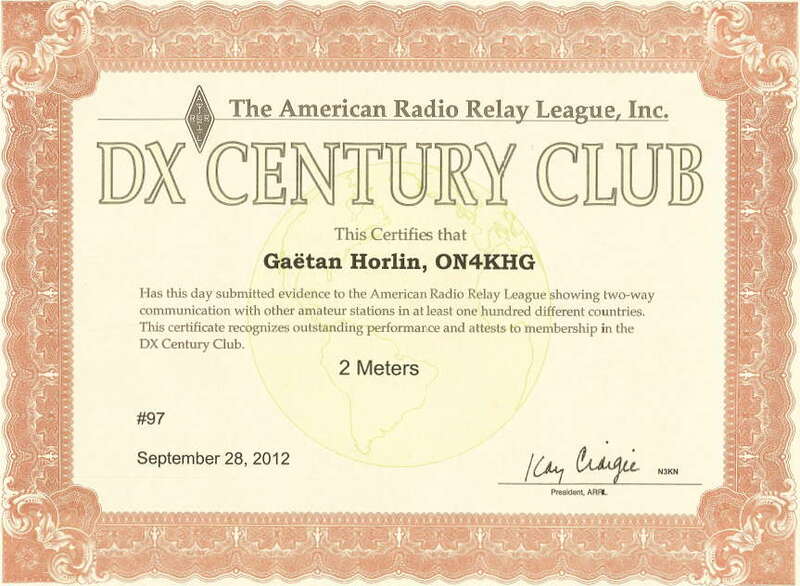 Exactly 25 years after having obtained my ham radio license (on 30/11/1987), I received on 1/12/2012 my DXCC certificate (n° 97). It is the result of a lot of efforts…and technological evolution too (digital EME). This objective has been achieved with no more than 300W and maximum 15,5 dBd of antenna gain. 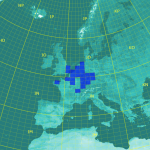 Amongst the 100 DXCC’s, 99 have been worked with a single antenna and without elevation. Click on the maps to enlarge. On the left, only the squares worked by terrestrial propagation modes are shown, no EME. On the right, my Worked All States (WAS) award obtained on 27/10/2017. 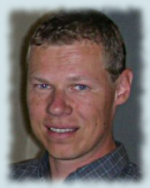 My first name is Gaëtan, I was born on January 30th, 1971. I live in Horrues, a small village being part of the bigger city of Soignies. It is located 40 km at the South-West of Brussels, in a splendid green region of the province of “Hainaut”. 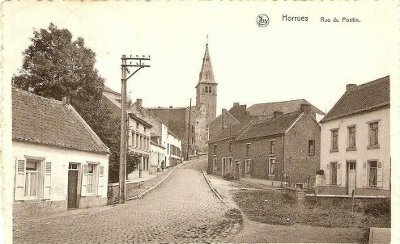 Till 2000, I have been living in Wasmuël, a village between the city of Mons and the French border, in a region called “Mons-Borinage”, famous for its coal mining past. I started very soon, around 11, to be interested in Radio. First by listening to the international radio stations broadcasting on short-waves (my favorite one was Radio Sweden International). In 1984, I was active on the “27 MHz DX band (CB)” ; I keep a good souvenir of this period. 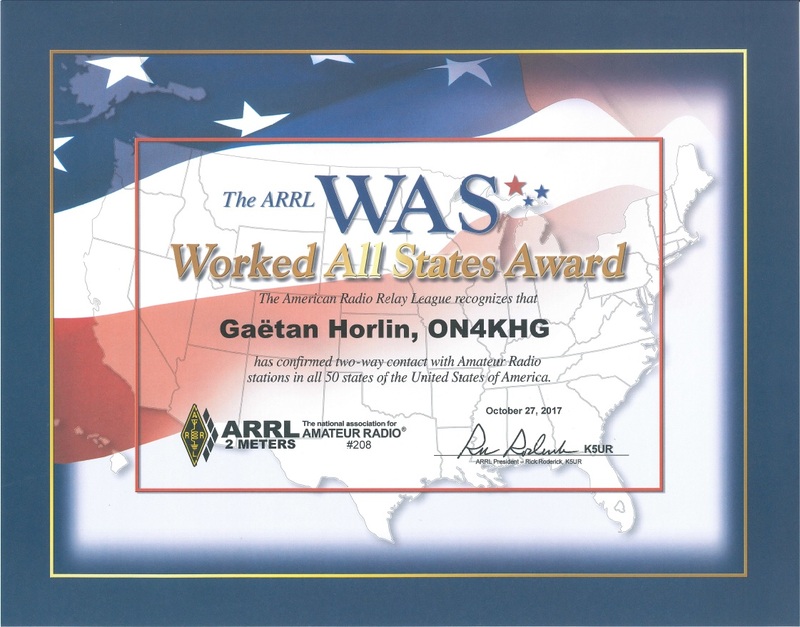 In 1987, at the age of 16, I succeeded at first try the ham radio examination, without any school technical background and got my first callsign, ON1KHN. It then allowed me to be active on the frequencies above 30 MHz, morse code (CW) excluded. 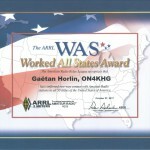 One year later, I passed successfully the CW examination and got the full license callsign ON4KHG, which is still mine nowadays. Since the beginning, I’m almost not interested in the HF bands but rather in the VHF ones. The 144 MHz “weak signals” band being my favourite one (Tropo, Aurora, MS, Es, EME). I also did a bit of 50 MHz in the early 90’s and have been active on the 1296 and 10368 MHz bands too. Though I still own the equipment for these last two bands, I’m no more active, as my current tower is not strong enough to host more infrastructure than the 144 and 70 MHz antennas it is supporting at the moment. 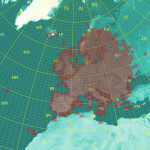 Finally, I’m one of the few ON’s active in the small 70MHz band segment allocated in Belgium since November 2009. My main interests in the hobby are propagation phenomenons and homebrewing of equipment (see section “Homebrew”). About my education, I’ve got an engineering graduation (MSc) in electronics (1993), completed by a post-graduate in Telecommunications. I first started to work in the telecom division of an energy engineering company. I moved afterwards in the military industry (Thomson-CSF, now Thales) and entered the mobile telecom world in 1999. Currently, I’m “Business Continuity & Problem Manager” at ASTRID, the Belgian public safety telecom company, operating a nation-wide mobile radio network (based upon TETRA standards), a Pocsag paging network (yes, it is still alive…) and all the emergency call-centers (numbers 101 and 100/112). Profitant d’un voyage professionnel en Polynésie française, Giulio, IW3HVB a activé l’île de Moorea en EME sur 144 MHz, sous l’indicatif TX7EME. Opération remarquable, d’autant plus que Giulio a mené à bien seul cette expédition. Giulio utilisait 2×9 él. XP et 1kW. J’ai eu la chance de contacter TX7EME au troisième passage de lune ; niveau de signal reçu -22 dBJT (-20 pour moi en Polynésie). Pour ce QSO, j’ai utilisé comme antenne ma seule 12 él. DK7ZB sans élévation, profitant ainsi du gain sol. Taking the opportunity of a business trip in French Polynesia, Giulio, IW3HVB has activated Moorea Island in EME on 144 MHz, under the callsign TX7EME. Remarkable operation, all the more Giulio has conducted it alone. Giulio has been using 2×9 el. XP and 1kW. I have been lucky to work TX7EME on his third moonpass ; received signal level -22 dBJT (-20 for me in Polynesia). 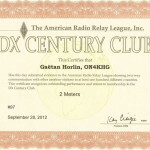 For this QSO I have been using my single 12 el. DK7ZB without elevation, getting advantage of the ground gain.